On this saturday, the 14th of february, on valentines day I’m exhibiting 4 small drawings in a joint exhibition. They are size 20x20cm and they can be seen on Gallery 13 in Sundsvall, Sweden together with the works of 25 other artists. I had quite little time to prepare for this exhibition since I was asked to join in the last minute. So I sat in my studio the entire day drawing little pictures and I managed to make 5 of them and quite a few failed ones too, that I threw away. But I noticed in the end that they all seemed half hearted and a bit pale some how. I realized I have been creating with another form of energy, I hadn’t been drawing from the sake of drawing, right from my heart but I drew with the energy of producing, preforming and completing something. 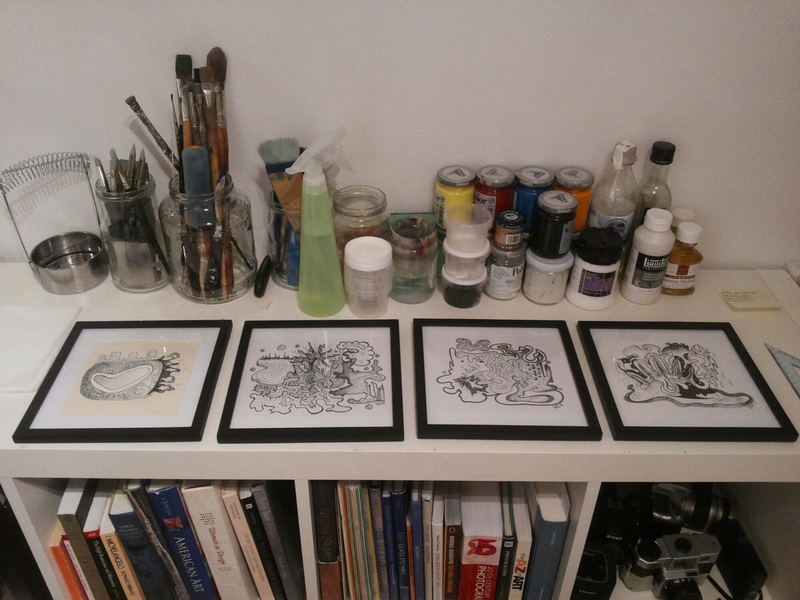 So I decided to pick out some older drawings for the exhibition instead that all are pure of heart. Its important to show art that resonates with what you want to show to the outer world and not just pick something because its the right size. Isn’t it funny that the original mood when you are creating something somehow ends up in the end result. Creativity should be fun and full of Love. Well anyeays have a great Valentine weekend everybody, I hope the love in the air inspires you all!